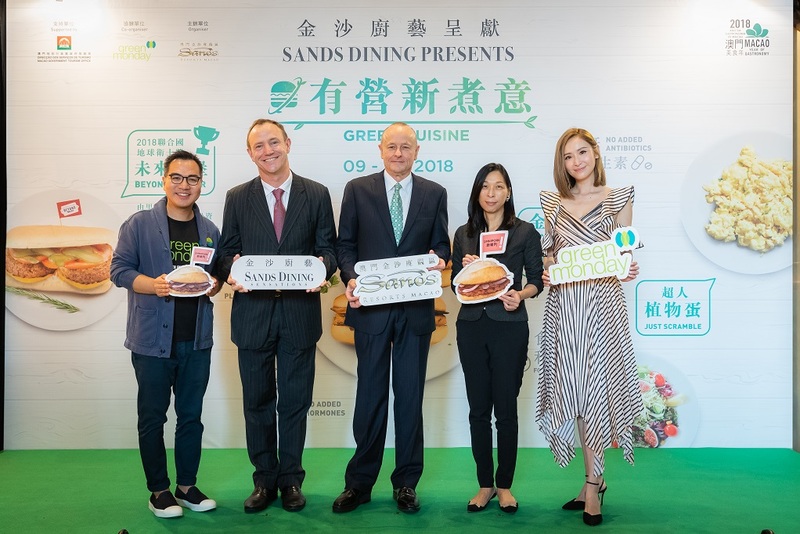 (Macao, Nov. 9, 2018) – Sands Resorts Macao held a launch event today to announce its Green Cuisine campaign to introduce healthy vegan dishes at 14 of its restaurants, utilising the most advanced plant-based products available on the market. Supported by Macao Government Tourism Office to reinforce the Creative City of Gastronomy designation, the campaign is a collaboration between Sands Resorts Macao and social enterprise Green Monday, which aims to tackle climate change and global food insecurity through green and sustainable living. 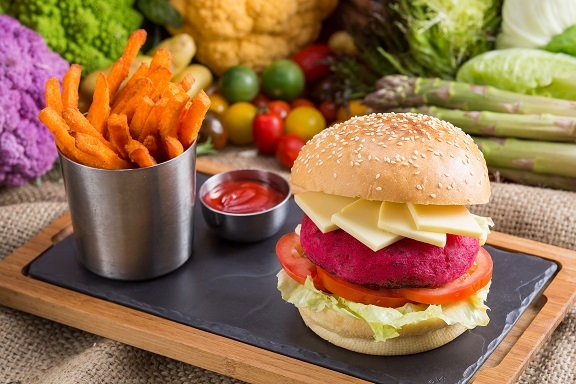 The organisation works with corporations, universities and restaurants around the world to encourage the adoption of a plant-based diet one day a week to help in the fight against global warming and conserve natural resources. 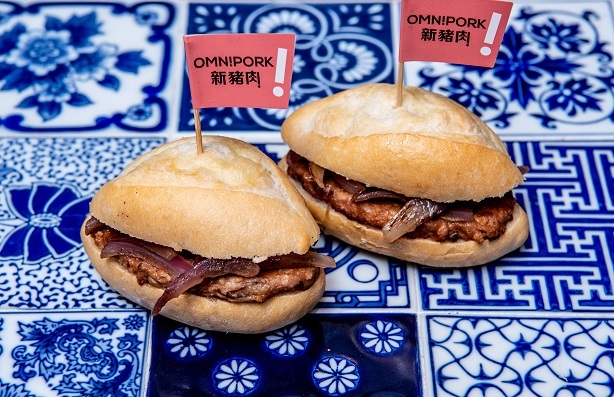 The launch event, held at The Venetian® Macao’s Portofino restaurant, featured live cooking demonstrations to showcase the vegan version of Macao’s famous pork chop bun street food snack, the Sands Omnipork Pork Chop Bun, and other dishes using entirely plant-based ingredients. Mark McWhinnie, Senior Vice President of Resort Operations and Development, Sands China Ltd.; Tom Connolly, Senior Vice President of Food & Beverage Operations, Sands China Ltd.; Doris Leong, Head of Training & Quality Management Department, Macao Government Tourism Office; David Yeung, Founder of Green Monday and celebrity guest Janis Chan attended the event. 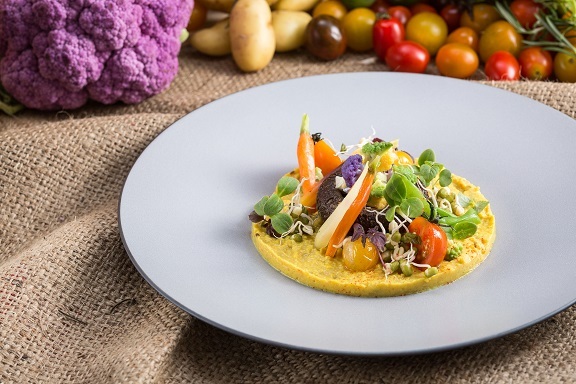 Sands Resorts Macao will offer a wide selection of delicious meat-free dishes at 14 of its most popular restaurants to offer guests healthier and more sustainable options while supporting its social and environmental responsibilities. Participating restaurants include The Venetian Macao’s Portofino, Canton, Golden Peacock and North; Sands Cotai Central’s Dynasty 8; The Parisian Macao’s La Chine, Lotus Palace and Brasserie; and Sands Macao’s Golden Court and Copa Steakhouse. Guests can also taste the Sands Omnipork Pork Chop Bun at selected restaurants, including The Venetian Macao’s Imperial House, Sands Cotai Central’s Tastes, The Parisian Macao’s Market Bistro and Sands Macao’s 888 Food Court plus a green menu will be offered to MICE delegates as part of the Green Meetings programme. Dishes offered will incorporate some of the most innovative plant-based foodtech ingredients from pioneers including products of Beyond Meat, Omnipork, Just Scramble, Daiya and Gardein. The campaign also makes Sands Resorts Macao unique in simultaneously offering such a comprehensive a range of non-meat substitutes. 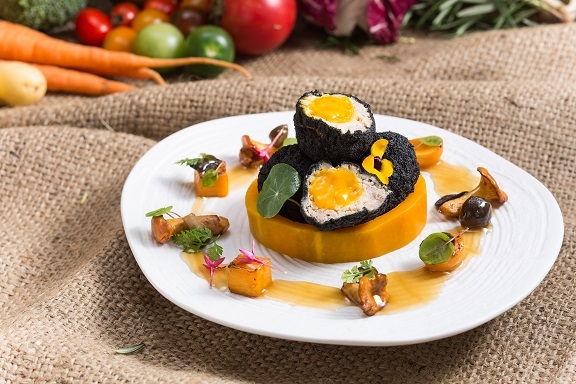 As part of the campaign, the back of house team member dining rooms at all Sands China properties are serving vegan menus every Monday to encourage employees to eat a greater plant-based diet in support of better health. 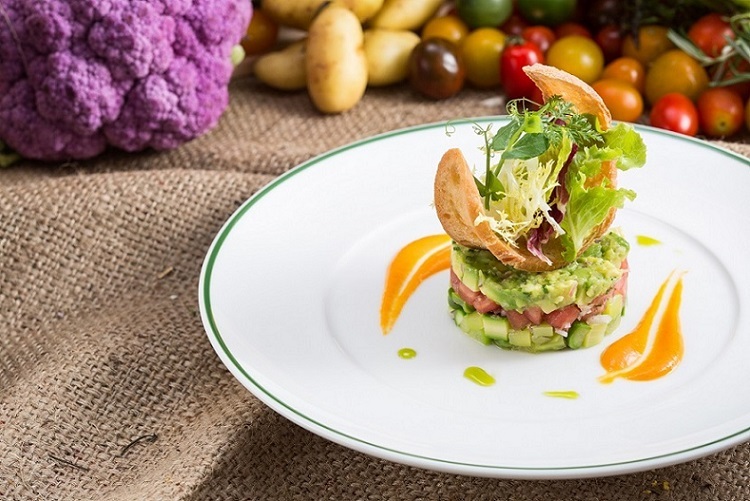 To learn more about Green Cuisine Campaign, please go to: https://en.sandsresortsmacao.com/restaurants.html and https://www.sandsmacao.com/dining.html. 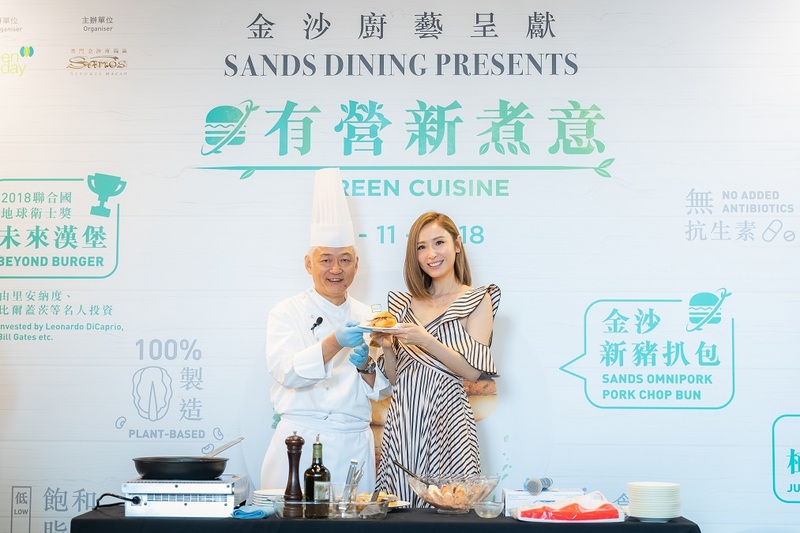 Photo caption: Sands Resorts Macao held a launch event at The Venetian Macao’s Portofino to announce the Green Cuisine campaign to promote vegan menus at its signature restaurants. Photo caption: (from left to right) David Yeung, Green Monday Founder; Tom Connolly, Senior Vice President of Food & Beverage Operations, Sands China Ltd.; Mark McWhinnie, Senior Vice President of Resort Operations and Development, Sands China Ltd.; Doris Leong, Head of Training & Quality Management Department of Macao Government Tourism Office and celebrity guest Janis Chan kick off the Green Cuisine campaign at the launch event. Photo caption: Alen Chow, Executive Chef of Convention Catering, Sands China Ltd., demonstrated making the Sands Omnipork pork chop bun with celebrity guest Janis Chan. Comprised of The Venetian® Macao; The Plaza™ Macao, featuring the Four Seasons Hotel Macao; and Sands® Cotai Central, including the world’s largest Conrad, Sheraton, and St. Regis hotels as well as the Holiday Inn, Sands Resorts Macao is where Asia’s ultimate destination is within reach. And now the crowning achievement of Sheldon G. Adelson’s vision of the Cotai Strip – The Parisian Macao. For more information, please visit https://ParisianMacao.com.